SUMMER is here – a fabulous time of the year where life is typically more laid back than the rest of the year. And we at Fan Fun have come up with a couple of fun projects for summer! Here is one! 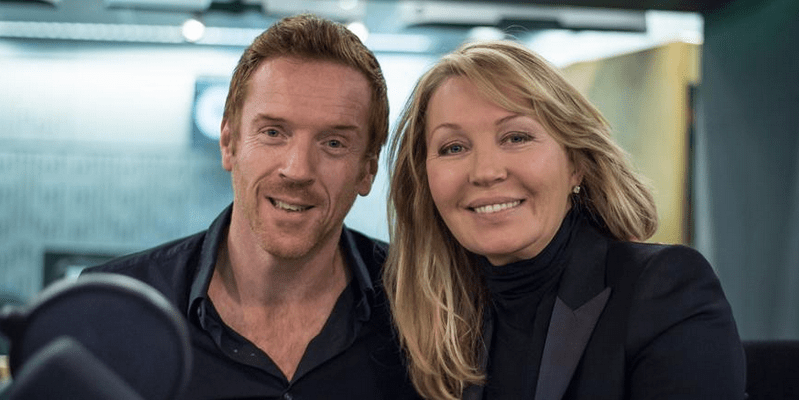 Today we are taking you back to December 2014 to re-visit Damian when he was Kirsty Young’s Castaway on BBC Radio 4 Desert Island Discs (DID). Here’s the drill if you are not familiar with the program: The castaway comes having done his homework; with eight pieces of music — one of which he will choose as his favorite — plus a book and a luxury item that he will take to his island with him. You hear the music during the program accompanied with a story from the castaway about why he has chosen this particular piece. 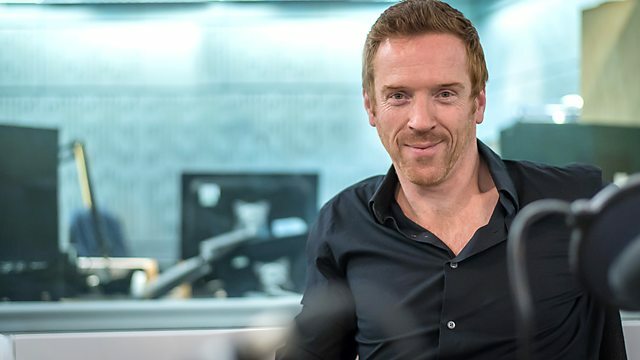 We focus on Damian’s selections today on the blog, and you can listen the entire Damian Lewis DID here and download it to listen on the go, too! And here comes our summer project! Each blogger at Fan Fun with Damian Lewis is also putting together her own Desert Island Discs with eight pieces of music with a story about why this particular piece reminds her of Damian Lewis, himself or a character he plays; a book, a luxury item and, because we could not help add our own twist, a Damian Lewis character to take to the island with her 😀 We promise it will be a lot of FUN! So stay tuned for Desert Island Discs with Damianista, JaniaJania, Gingersnap, Ladytrader, and Holliedazzle in the weeks to come, and hey, if you get inspired and come up with your own Desert Island Discs, please type it up and send to us at allaboutdamian@gmail.com so we publish it on Fan Fun! We would LOVE to have you all on board! Ok. Time to visit Damian’s music choices with a quick story from him on why he has chosen this particular piece to take to his island 🙂 His selections attest to the fact that he is, in his own words “a nostalgic person, naturally, remembering people, happy moments in my life, and just good cheers.” They are all reminders of happy, fun and romantic times, referring to his family; his parents, his wife, and his kids. 2. Georges Bizet – Au fond du Temple Saint from the Pearl Fisher, performed by Luciano Pavarotti & Nicolaï Ghiaurov. hier notre plus grand chanteur est mort ‘un cancer u poumon!il avait une grande admiration pour Elvis Presley,et cela a beaucoup influencé sa carrière! Yes, Johnny Hallyday was certainly the Elvis of France. Let him rest in peace. Je n’étais pas fan,mais je reconnais qu’il avait du talent et une grande présence su scène!Depuis 3 jours on ne voit que lui a la télévision! !J’en ai un peu assez!!! I loved the Goose Pimples, 1920’s and classic jazz is so great! I always play it in background when I have visitors at home. Interesting choice a History book. It makes sense though…reminds you you are actually not alone in the World. I LOVE jazz and it’s such a pleasure to find out Damian loves the entire spectrum of jazz, too! But it is New Orleans jazz that makes me feel very very very happy. It seems Damian likes non-fiction books — a few recommendations he gave earlier in some interviews and on Twitter were all non-fiction. I am more of a fiction girl for sure. I cannot live without reading at least a few pages before going to bed! And I completely agree about Pavarotti. In particular, he and the other two tenors – Placido Domingo and Jose Carreras – made opera popular together! Previous Previous post: Happy 11th Anniversary, Damian Lewis and Helen McCrory!